With more and more homeowners looking to take advantage of their outdoor living spaces each year, features like outdoor fireplaces are becoming increasingly popular. In addition to making it possible to entertain friends and family outside for longer each season, outdoor fireplaces also pack a big punch in terms of landscape design. 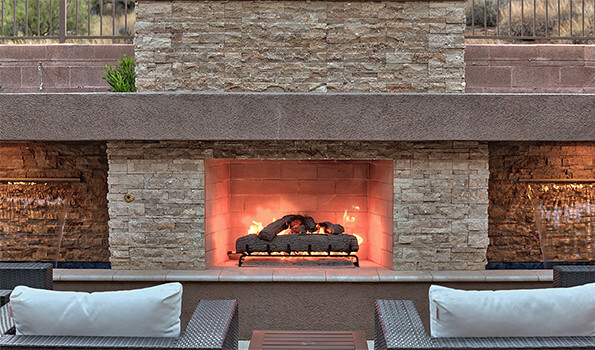 When integrated correctly, an outdoor fireplace can easily become the focal point in any outdoor living design. A beach entry swimming pool, also known as a zero entry, is a design that brings to mind going to an actual beach – minus the sand. When a Unique Companies’ Designer builds a zero entry pool in your backyard, they will position it at the shallow end of the pool. 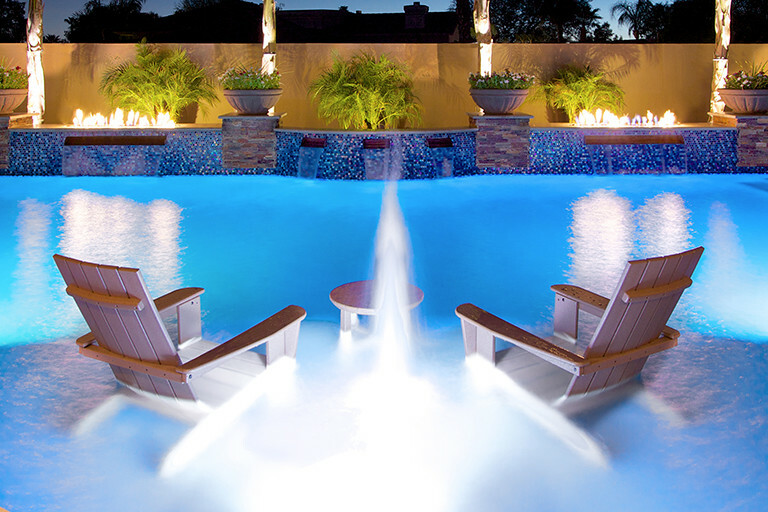 It will slope away and into the deeper water of the pool on a progressive grade; you will gently transition from shallow water to deep water. Chairs and chaise lounges can easily be placed in the beach entry area, allowing the parents or supervisor to keep a watchful eye over the little ones while staying cool. Beach-entry swimming pools are also an excellent option that allows ease of entry by people with physical limitations. The gentle slope makes it easy to either roll the person into the pool or for that individual to use an other assistive walking device to gain entry. It also allows others – that may not be too confident swimming in the deeper parts of the pool – to also enjoy the water and atmosphere poolside. The only down side of having a beach entry swimming pool is the design incorporate a very gentle sloping transition from the deck into the water which might be a little too natural. In other words, they might provide an inviting place for animals to wade into the water and possibly leave evidence of their visits.